America’s founders intended to liberate us not just from one king but from the ghostly tyranny of supernatural religion. Drawing deeply on the study of European philosophy, Matthew Stewart brilliantly tracks the ancient, pagan, and continental ideas from which America’s revolutionaries drew their inspiration. 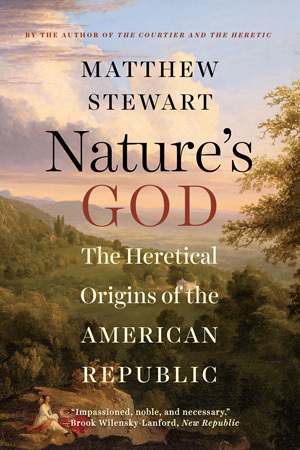 In the writings of Spinoza, Lucretius, and other great philosophers, Stewart recovers the true meanings of “Nature’s God,” “the pursuit of happiness,” and the radical political theory with which the American experiment in self-government began.